Please tell us about the inspiration behind founding Curofy? What were the initial challenges and how were these overcome? Coming from a Marwari family, I was always intrigued by the way a business functions. In final year of my college days, I led a team of more than 200 people to expand an online college start-up across India through social media marketing, which triggered my entrepreneurial side and motivated me to start something of my own. Towards the end of my final year during a midnight coffee-break, I discussed the idea of starting a new venture with my co-founders and everybody seemed to have thumbs up for the same. Could you share few unique experiences during the journey so far? We faced various challenges and difficulties in the beginning, to name a few- Approaching to doctors: One cannot think of approaching a doctor easily if he is not a patient. Doctors are so busy in general that they would hardly be available to meet anyone for using and understanding the demo of any application. Curofy team actually spent hours in queues to meet the doctors for 5 minutes and explain the features of their application. Tech Aversion: There has always been a low acceptance rate from the entire community of doctors when it comes to social networking. Technology being one of the major obstacles, Curofy still managed to convince 1000 doctors to download the application and start discussing about the cases. Word of mouth: The effect of coordinated care is one of the vital most factors behind the acceptance of this app. It was highly time-consuming and equally difficult to convince the first 1000 doctors. Once those 1000 doctors from various specialties started using the app, it became quite popular among the doctors’ community through word of mouth. What makes Curofy stand out in the crowd of similar looking kind of ventures being launched in India? Yes, there a few of them such as – Docplexus, Daily Rounds and PlexusMD but Curofy is fundamentally different from its competitors in terms of the approach taken to solve the same problem. However, our engagement levels are at least 10 times more than the best of them. To be honest, engagement is the key metric for determining success and failure in this segment. We have already proved engagement, where others are still struggling to find it. 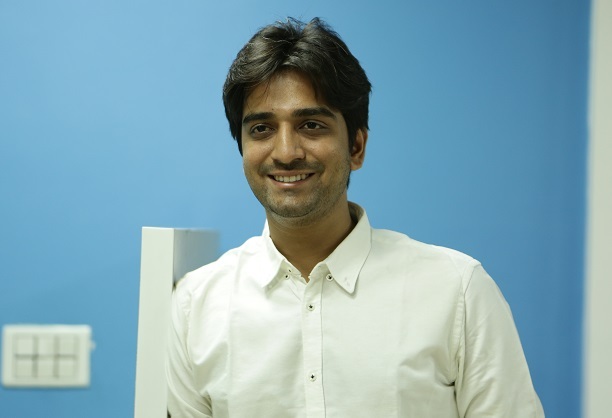 There are a few other health-tech ventures in India including Practo, but their focus is primarily patient-doctor connection. Their products are majorly used by admins, thus improving their lives instead of doctors. How is the digital health market space shaping up lately in India? Please share few insights on latest trends. Before the advancements in Technology, Indian healthcare sector was considered as one of the most under-penetrated sectors. It was lagging behind other verticals. But today, technology has become one vital part of everybody’s life and there has been a rapid shift towards digitalization in the Indian Healthcare scenario which can transform the everyday functioning of multi-speciality hospitals, doctors and every physician living in remote areas as well. Healthcare sector has become one of the largest sectors in India. It is consistently growing at a rate of 15 percent is expected to touch $250 billion by 2020. How has been the company doing in terms of revenue? What is your current and expected market share in next few years? The sellers are always there where the buyers are. With Curofy being a highly engaged community of doctors where they are spending their valuable time, the company is already working with many industry partners in helping them disseminate new innovations to doctors through the platform. Numerous healthcare giants are working with us to digitize various aspects of their business. Facebook has proven to us, that the entire marketing function of the world can be conformed within the realms of a few buttons. Curofy is slowly, but surely becoming a forerunner in the digital healthcare space in the country. Also, Curofy is integrating with various platforms and service providers who fulfil different needs of doctors like getting them loans, medical devices, jobs, insurance, clinical decision support etc. The company started making revenue in January 2017 and had reached close to breaking even by end of the year. The industry is expected to spend about US$ 20 billion by 2020 for reaching out to the doctors. A significant chunk of that can go digital. Are you planning to expan d abroad as well? What are your plans and the future outlook for the company? We want to lead the Indian market first by getting a foothold of the major stakeholders in the country. We would also like to increase and improve the quality and quantity of the cases for our case repository. While we will first look to conquer the Indian market and then go to other markets, we are also looking to expand beyond India in developing markets. We have run pilots in Turkey, Saudi Arabia, Lebanon, and Nigeria etc. However, our aim will always be adding value to the doctors. We are constantly try to innovate and introduce new features to make their life better. Previous articleA helping hand for special kids!